Over the next few months, sports marketers can expect to see more teams, brands, athletes, and apparel providers leveraging hashtags and Twitter handles to drive new streams of revenue from licensing and merchandising. 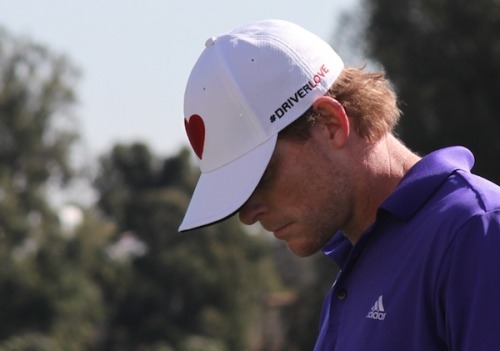 TaylorMade recently made a splash at the Northern Trust Open by having several elite golfers wear hats throughout the tournament that were emblazoned with the Twitter hashtag #driverlove. The creative branding play demonstrated to viewers of the golf tournament that each of the players were serious about their affinity for Taylormade's golf clubs. TaylorMade's hashtag branding received notable exposure during the tournament broadcast and was showcased in leading online media outlets like Mashable, etc. The campaign opens the door for Major League Baseball, the National Football League, and the National Hockey League to promote cause campaigns, personal tributes, and season-long promotional initiatives using hashtags on hats/helmets. Look for more inspirational examples to come in the sports space!